Global Scholars is a tech-savvy, direct, peer-to-peer learning program for students 10 to 13 years old. Its purpose is to develop cultural understanding, knowledge of the world, and global competency skills through direct communication in a digital classroom. Global Cities provides the curriculum, access to the secure e-classroom, and ongoing live professional development for classroom teachers by video conference. There are no fees to the schools. 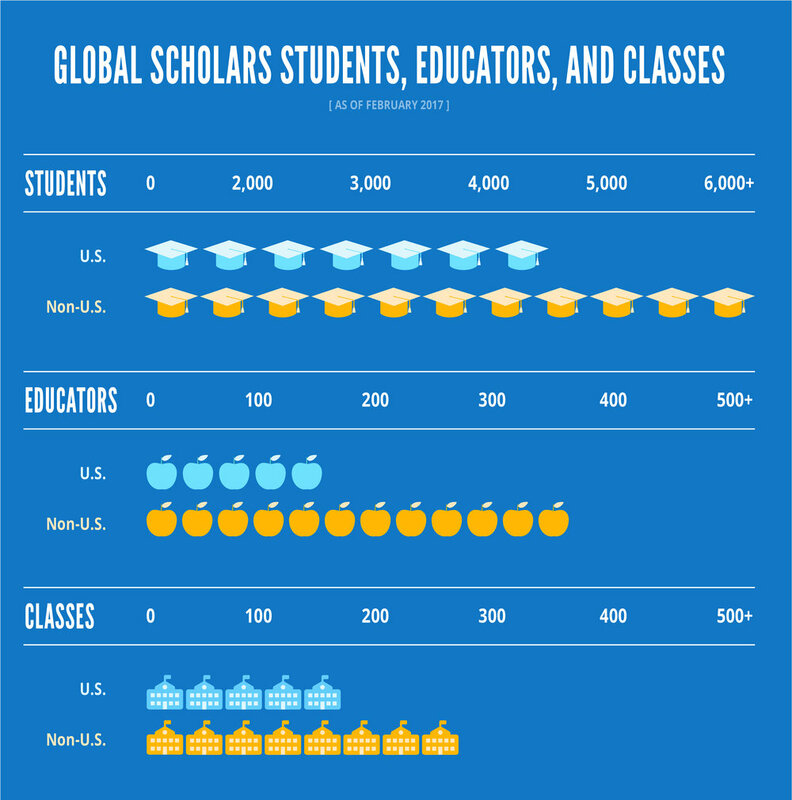 "What is a Global Scholar?" Students in Moscow's Intellectual International Gymnasium made this video for their first assignment in Global Scholars, a digital exchange program connecting them to 10,000 peers worldwide through a shared curriculum and an e-classroom. Global Scholars is operated by Global Cities, Inc., a program of Bloomberg Philanthropies, to teach global competency skills and digital literacy to students ages 10-13. Learn more at www.globalcities.org. Students show off their favorite classrooms and the year’s first snowfall as they explore “What is a Global Scholar?” for a Unit 1 assignment. Students in Taipei, Taiwan showcased "YouBike" and other digitally-inspired innovations in their city for their peers in the e-classroom.